We know it’s important for adult women to understand and plan for costs associated with earning their degree. That’s why we offer a competitive flat tuition rate of $400 per credit – with no surprises. If you qualify for our military tuition discount, that cost drops even further to $350 per credit. Find out more. The only other costs you should anticipate as an American Women's College or One Day A Week Program student are for books or materials that your professors may ask you to purchase. Fortunately, our professors and instructors offer, whenever possible, inexpensive electronic alternatives to typical costly textbooks. During the admissions process, every woman is encouraged to apply for financial aid. 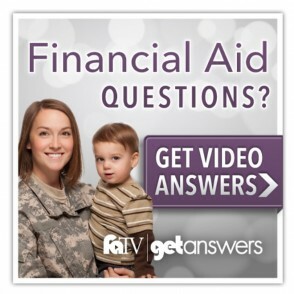 Financial aid typically consists of a combination of scholarships and grants as well as loans. A financial aid award is applied against the expected tuition cost, in many cases lowering the total amount to be paid for the degree. Learn more about the financial aid application and award process. Geraldine has been accepted into our 120-credit bachelor’s degree program. Her Admissions Counselor reviewed her past credits and estimated Geraldine can transfer in 30 credits towards her bachelor's degree at Bay Path. Therefore, Geraldine will have to earn 90 more credits in her degree program. Geraldine’s total tuition costs are estimated to be 90 (credits to earn) x $400 (per credit fee) for a total expected tuition of $36,000. Keisha has been accepted into our 120-credit bachelor’s degree program. It's her first college experience and she has no past credits to transfer in. Therefore, Keisha’s tuition cost will be 120 (credits to earn) x $400 (per credit fee) for a total expected tuition of $48,000. The Trustees of Bay Path University reserve the right to change tuition and fee rates and to make additional charges within the University whenever such action is deemed necessary.